The Social Security program pays benefits to retired and disabled workers and their family members, and to family members of deceased workers. The Social Security program is financed primarily through payroll taxes that are deposited in the U.S. Treasury and credited to the Social Security trust fund. Any revenues credited to the trust fund in excess of program costs (benefit payments and administrative expenses) are invested in special U.S. government obligations (debt instruments of the U.S. government). 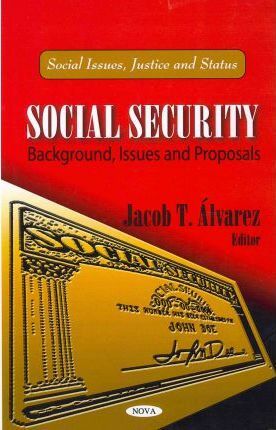 This book examines the basics of how the Social Security program is funded and how the Social Security trust fund works. Preface; Social Security: The Trust Fund; Social Security: Trust Fund Investment Practices; Social Security, Saving & the Economy; Social Security Retirement Earnings Test: How Earnings Affect Benefits; Social Security: Raising or Eliminating the Taxable Earnings Base; Increasing the Social Security Payroll Tax Base: Options & Effects on Tax Burdens; Social Security: Calculation & History of Taxing Benefits; The Impact of Medicare Premiums on Social Security Beneficiaries; Index.